Do we really need to know what names were ‘formerly known as’? The protesters called for the release of NLD leader Aung San Suu Kyi. The parliament building has been unused since the current junta seized power in 1988. By Ashin Mettacara Today is my happiest day in my life . Because my dream and hope have arrived. Google News starts to include the news from my site for the . Asean groups the Philippines, Vietnam, Singapore, Malaysia, Indonesia, Thailand, Cambodia, Laos, Brunei and Burma/Myanmar. E. Torres. … Burma by the end of this year and called for renewed efforts to secure the release of all political prisoners, including democracy icon Aung San Suu Kyi. The Future of Asia: Whither Nation or State? Together they co-founded New Mandala, a website that provides ongoing commentary on developments in Thailand, Burma, Laos and Cambodia. … courts for violations of international human rights. A similar suit by villagers in Burma against Unocal for allegedly encouraging brutality by soldiers ..
Why I am Proud Being an Indian! 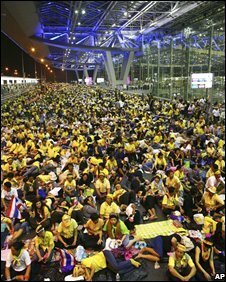 BANGKOK, Thailand (AP) – Thai authorities have closed a second airport in the capital after anti-government protesters stormed the terminal. By Chris Cooper Nov. 27 (Bloomberg) — Japan Airlines Corp., Singapore Airlines Ltd. and other Asian carriers canceled flights to Bangkok for a second day today after the city’s two main airports were shut down due to anti-government protesters. By VOA News Thailand’s army commander has told the country’s elected government that it should step down and call a snap election to resolve a deepening political crisis.